In one of the biggest blow to the Modi government, the Supreme Court today restored the Congress-led Nabam Tuki government. This was after the court termed as “illegal” and “violative of constitutional provisions” Governor J P Rajkhowa’s advancement of the Assembly session from its scheduled date of January 14, 2016 to December 16, 2015 in order to remove Speaker Nebam Rebia that had triggered the entire political crisis leading to the imposition of President’s Rule on January 26. A five-judge constitution bench comprising justices J.S. Khehar, Dipak Misra, Madan B. Lokur, P.C. Ghose and N.V. Ramana which ordered “status quo ante as on December 15, 2015” ruled that all the actions of the Governor was violative of article 163 of the Constitution. Citing the S R Bommai Vs Union of India case ruling on the scope of judicial review of a decision taken by the President or the Governor, the bench said it had “all the powers to put the clock back”. The judgment effectively meant that government formed by rebel congress leader Kalikho Pul with the help of BJP MLAs has been shown the door. Just before the Apex court had reserved its verdict on February 20, Pul was sworn in as the Ninth Chief Minister of Arunachal Pradesh with the support of 18 dissident Congress MLAs and two independents and 11 BJP MLAs who gave outside support. Congress party, which had 47 MLAs seats in the 60-member assembly, suffered a jolt when 21 of its lawmakers rebelled in January 2016. Eleven BJP MLAs backed the rebels in the bid to upstage the government. Later, 14 rebel Congress MLAs were disqualified. Passing orders after examination of constitutional schemes on the scope of discretionary powers of the Governor, the bench ruled that the Governor does not have power to call assembly session without the aid and advice of chief minister and his council of ministers. This is a double blow for Modi government as is it comes exactly two months after Harish Rawat-led Congress government made a come back in Uttarakhand after the President’s rule imposed there was quashed by state High Court after a floor test was facilitated by the Supreme Court. The five-judge constitution bench was passing orders after examination of constitutional schemes on the scope of discretionary powers of the Governor. 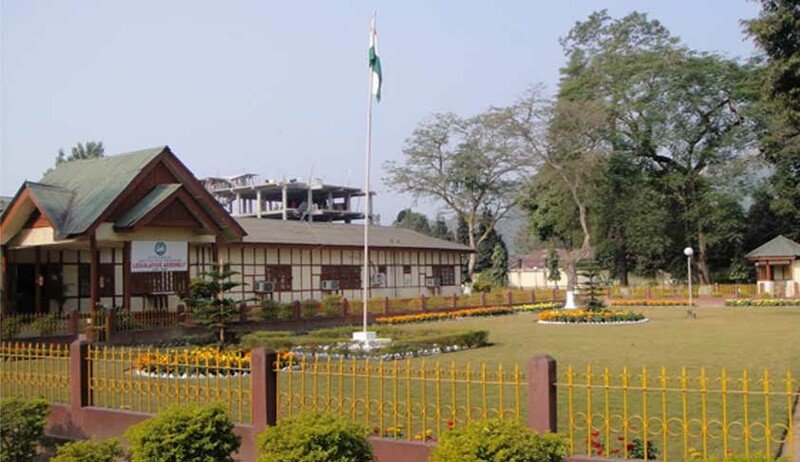 The bench was essentially looking into constitutionality of State Governor J.P. Rajkhowa's move to advance the Arunachal Assembly session, which eventually triggered a political crisis leading to the ouster of the Congress-led Nabam Tuki government and proclamation of President’s rule in the State on January 26, 2016. The Supreme Court was delivering its verdict on an appeal against the January 14, 2016 Gauhati High Court order that upheld the discretionary powers of Rajkhowa to summon or advance a sitting of the Arunachal Pradesh assembly. Former state assembly speaker Nabam Rebia had moved the apex court after the Itanagar bench of the high court decided to uphold the actions of Rajkhowa.The Governor, on 9 December, advanced the date of the assembly session by a month to 16 December during which Rebia was impeached through a resolution passed by 33 legislators, including 20 rebel Congress members. Earlier on December 17, On December 17, a Gauhati High Court bench of Justice Hrishikesh Roy had stayed all the decisions of the Governor, observing that prima facie it was in violation of Art 174 and 175 of the Constitution dealing with convening of the session by the Governor and his message to the House. Slamming the Governor for his decision to advance the assembly session, it had asked “What would be the change or the difference if the assembly proceedings would have taken place on pre-scheduled January 14 instead of December 16. There has to be some object to be achieved by the Governor by wanting to advance the date. Does it mean that whenever he feels bored, he can call the assembly to feel the excitement?" On Governor’s argument that his decisions are not open to judicial review, the court had said it “cannot be a mute spectator when democratic processes are slaughtered. “If democracy is slaughtered, how can the court remain silent,” Justice Khehar, the most vocal of all judges in the bench, had asked. It had heard arguments on the contours of the power and discretion of the governor under the constitution for over a month before reserving its judgment on February 22. On November 14, 2011 Nabam Tuki took charge as the Chief Minister of Arunachal Pradesh. Nebum Rebhai, Tuki’s brother, takes charge as the speaker of the assembly. In December 2014 Tuki reshuffles his cabinet, drops Kalikho Pul, the state’s Health and Family welfare minister. In April 2015 Pul alleges large-scale financial embezzlement within the government. Congress expels him from the party. Between May and October, 2015 BJP leaders support Congress dissident Kalikho Pul. A number of Congress MLAs, including the assembly’s deputy speaker, also declare their support to Pul. Congress MLAs then demanded a resolution aimed at removing the Deputy Speaker. In response, BJP MLAs demand a resolution aimed at removing the Speaker. Governor Rajkhowa, without holding any consultation with the CM and his cabinet, advances the date of assembly’s session to December 16, 2015. Earlier, the assembly was to be convened from January 14, 2016. He also accepts the resolution for the removal of the speaker, as demanded by the BJP MLAs and puts in on the agenda for the first sitting of the assembly on December 16. It is alleged that Pul asked for money from a state businessman in return of bringing BJP to power in the state. Tuki government locks the assembly. A corresponding assembly meeting is held in another building, which is attended by 33 MLAs. The resolution for the removal of Speaker is passed and a new speaker is appointed. Kalikho Pul is elected as the CM after which the Congress moved the Guwahati High Court. On February 19, Pul took oath as Arunachal Pradesh chief minister, just hours after President's Rule was lifted. The step came after SC cleared the decks for the revocation of President’s rule as it vacated its own order of status quo passed. 31 MLAs, led by Pul had called on the Governor to stake claim for forming the next government.Pul was accompanied by 19 rebel Congress MLAs along with 11 BJP legislators and two independent members. Former Chief Minister Nabam Tuki reportedly has the support of 26 MLAs in the 60-member Assembly. Congress, which had 47 MLAs in the 60-member Assembly, suffered a jolt when 21 of its lawmakers rebelled. Eleven BJP MLAs and two independents backed the rebels in the bid to upstage the government. Later, 14 rebel Congress MLAs were disqualified by the Speaker. The apex court revoked status quo order after being satisfied with the Guwahati High Court order staying the disqualification of the 14 rebel Congress MLAs. The development was a major setback to the ousted Nabam Tuki-led Congress government in the state as the Supreme Court cleared way for government formation.